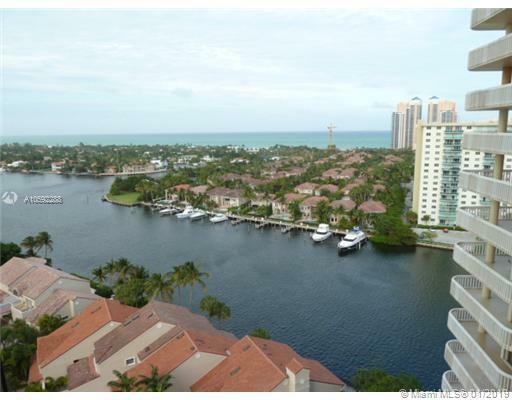 Magnificent 2 bed/2 bath with gorgeous views of Intracoastal and Ocean. Very bright and airy. Marble floors throughout including kitchen and hallway. Bedrooms carpeted, marble master bathroom, tile & marble in 2nd bathroom. Beautifully decorated. This is the one. Close to House of Worship and walking distance to Aventura Mall and Golf Course. Courtesy bus to Mall & Publix. Owner motivated, please show and come in with offers.